Enjoy sparkling, trouble-free windows for a lifetime! 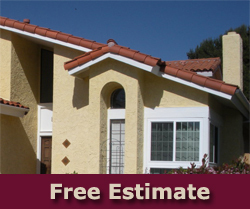 Smart San Diego homeowners choose an new construction windows installer with stucco expertise. Only a true artisan achieves the perfect color and texture match between existing stucco and the stucco removed in the window project. We’ve just seen too many homes where the stucco texture and paint color around new windows doesn’t match the existing texture and color. We have rectified these botched jobs many times. When you get your new construction windows installation done right the first time, you regard them with pride for decades. How Do I Get a New Construction Window Quote? We will visually assess your new window needs and provide you with a fair estimate. We look forward to serving you with our top install window service! 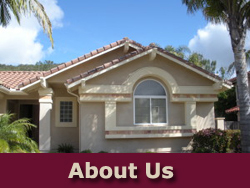 Since 1988 Superior Stucco has completed over 3,000 stucco and window projects in San Diego. 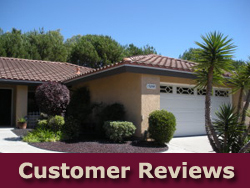 Owner Pavel, Hugo and their trained team know well the home serves as the primary asset for most residents from Oceanside to Point Loma and all points inland. Homeowners can’t go wrong investing in their California real estate. Our commitment to quality work that increases home values has resulted in 260 positive reviews on Angie’s List. 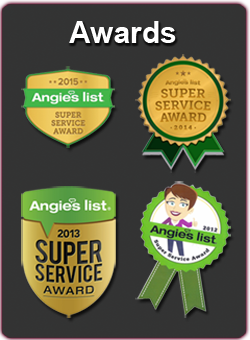 It’s also won us a Angie’s “Super Service Award” several years in a row. Our clients have also shown up for us with 16, 4- and 5-star Yelp reviews as well. You can pick from the dozens of reviews from real customers right here on our website. It’s clear they appreciate our consistent, up-to-code and by-the-book window installation service. Competitors can’t beat us on price, either. Our 30-years-experience has streamlined our processes and helped us create strong relationships with quality suppliers, keeping our prices low. Superior Stucco is so dedicated to quality, we won’t even do retrofit windows. A less ethical window installation service will sell you retrofit windows just to get the sale. But in retrofitting, the materials around the window are never removed. Instead, the window—with the light-limiting frame—is just popped into the empty space. This means the moisture barrier between the window and the house’s framework doesn’t get checked. Too often, mold has begun to grow on the frame and dry wall behind that moisture barrier. We’ve found moisture issues to be a problem most often in the new tract homes where developers racing against time do shoddy window installation. Even these new construction windows can create extensive wall and frame damage when they are not installed correctly. Problems grow when odors arise or the wall becomes soft. It’s only discovering these wall and odor issues that homeowners realize they have extensive mold or dry rot problems. Remodeling costs skyrocket because so much damage has been done. It’s always critical to remove that moisture barrier and inspect during a new window installation. New windows only leak when they’re installed incorrectly. Retrofit windows leak far too often, even with a proper install! Retrofit windows use a trim piece appended to the outside siding that actually traps moisture rather than letting it escape the way new construction windows do. But don’t take our word for it. Here, Acme Leak Detection characterizes retrofit windows as “problem-prone.” Even worse, leaking retrofit windows are not covered by any insurance policies. Superior Stucco will never install windows without checking that all important moisture barrier. If it needs replaced or repaired, we make sure it’s done correctly. Our one year guarantee on all work protects our clients. Because the new construction window frame can be nailed into the home’s framework, much of the frame itself is hidden. That means siding—stucco, paint, shingles, stone—must be removed. Still, siding surrounding the window looks far more finished and professional. With the frame built into the home’s framework, the window opening is all glass. A new construction window built into the home allows for a much better seal. Noise and outside air don’t penetrate as well. Aluminum or vinyl frame placed over the siding looks cheap. Window only placed into the available space, and the frame takes up much of that space. Less light enters the home. Many replacement windows are made with aluminum frames which conduct heat. Further, installing replacement windows from the outside means the fit is never exact. Air leaks in through the frame and gaps around it. Discuss your project with company owner Pavel to get more specific information on window choices. Make an appointment for on-site, no-obligation consultation. We deliver your window estimate and proposal within 48 hours. Together, we revise it to your specifications. No obligation if you go with another contractor. Every Superior window project comes with a 1 year guarantee on all labor. We pride ourselves on getting it perfect. Window manufacturer guarantees run from 10 to 20 years. Regarding your home from the outside should remind you of the quality choices you’ve made for every element inside your home. The new construction windows San Diego homeowners choose complement Craftsmen, Modern, Spanish Mediterranean, Southwest and Victorian styles. We can even show you how to use new construction windows to bring more character to your home! 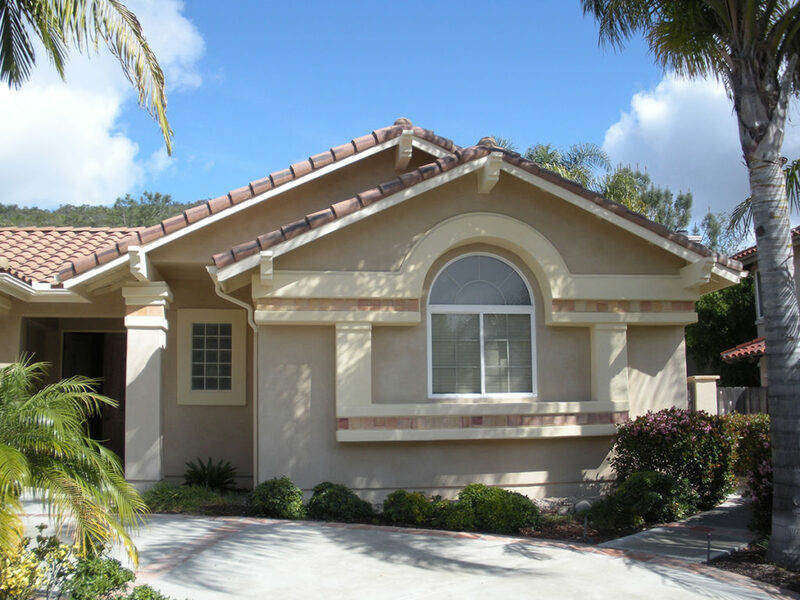 As San Diego’s leading stucco and window contractor, we’ve made our name by improving property values. No matter your design or energy conservation goals, beautiful new construction windows exist to enhance your lifestyle. This bottom portion of this window slides vertically up and down. It doesn’t swing out from its frame. The upper part remains stationary. Often used in bathrooms, this common window complements many architectural styles. As with the single-hung window above, the double hung window slides up and down within its frame. The difference is that the top portion can slide down alongside the bottom portion. Homeowners choose which panel they want open. Rather than sliding, these windows open and close with the use of a hand-crank. They are hinged right or left and open outward. Often found in craftsman and cabin style homes. Protruding from the home’s outside wall, bay or bow windows are favorites of romantics everywhere. Some of them are even built around seating, perfect for relaxing with a lovely backyard view. In additional to creating more interior space, they add great character to a home and often appear in Craftsman and Victorian style homes. Typically, the central window is stationary while the flanking windows open. Homeowners with awning windows don’t have to shut the house down during a rainstorm. Hinged at the top, awning windows allow rain to cascade over their surface while allow fresh, rain-scented air waft through the home. Many homeowners install them high on a wall in a bathroom or bedroom. They open with a crank. Slider windows open horizontally along a track. One window slides over the other. One can be stationary and the other mobile or both can move. Frequently found in modern and contemporary homes, these windows usually made of one pane of glass. The picture window is typically large and stationary. It works well to maximize light in the home and present a uninterrupted outdoor view. You’ll find transom windows alongside or above front doors or other windows. Often a small or narrow window, the transom window’s job is to allow in more light and/or air. Transom windows that open improve air flow. Many of the windows above can be stationary. More than a description, however, a stationary window can be an unmoving window that is formed in a unique shape. Often appearing in octagonal or star formation, they can adorn bedroom or bathroom walls. They also let in light over staircases and other more closed spaces. Some homeowners choose to use colored or stained glass in these windows. New construction windows can be used in an existing home or a brand new home. They are windows that are hammered into the frame of the home itself. The siding, stucco and/or paint are applied or reapplied after the windows have been installed. What’s the difference between new construction windows and retrofit or replacement windows? New construction windows differ from retrofit windows in the way they are installed. Replacement windows are popped into the space the old window left. That means the window’s frame extends into the opening, letting less light in. 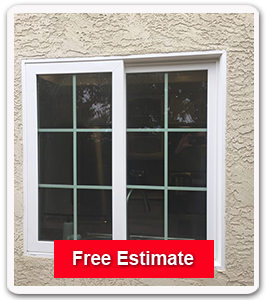 With new construction window installation, the old window is removed and the installer removes much of the stucco, siding and/or paint to access the frame of the home. The new construction window gets nailed into the frame of the home. The installer then re-stuccos and re-paints the area for a fully finished look. New construction windows cost more than replacement windows, but they last much longer and add more to the value of your home. Can you get new windows without using replacement windows? Yes. You can use new construction windows. Can I install new construction windows myself? Superior Stucco & Stone has been on the site of dozens of do-it-yourself new construction window projects. Usually, the homeowner just doesn’t have the texture and paint matching experience to make the home look seamless and consistent. They have sparkling new windows, but each window is surrounded by a “black eye” or obvious inconsistencies. Imagine your home with ugly rings around each window. When you get it done right the first time, you enjoy it for decades. How do I know if a window replacement company is legitimate? Always check that any contractor you select has a legitimate contractor license. California provides this contractor license check service for free! Are new construction windows covered by insurance? Homeowners’ insurance policies cover all parts of a home, including the windows. Some adjustors advise homeowners avoid making a claim on just one window as it risks premium hikes. The premium hikes can be more than the cost of the window replacement. Also, if you live in an earthquake prone state, make sure you have earthquake coverage. Even a small earthquake can throw of your home’s level. That means all rectangular windows can become trapezoidal and put pressure on the glass. This pressure could cause breakage. Can I use replacement windows in new construction of a new home? What do new construction windows cost? Home Advisor reveals the average costs of each new construction window runs from a low of $300 to a high of $700 with an average of $500. Window replacement on a 3-bedroom, single story home of around 1500 square feet averages $3,000 to $7,000 just for the windows. Labor and other materials adds 25% to 30% more. Your price will depend on the windows you choose and the difficulty of access. We’ve replaced windows on a home for as low as $2,000 and as high as $40,000. The last was a 4,500 square-foot, two-story home. Yes. The county needs to make sure you’re still following safe egress codes in case of fire, earthquake, etc. Often, a homeowner widens a window, cutting into the house’s frame. The city has to decide whether that’s a safe step or not. Permitting means either you or someone from Superior goes down to the city of San Diego’s Development Review Center on 1222 First Avenue to stand in line. You can call (619) 446-5300 for appointments or (619) 446-5000 for general information. Brace yourself: there could be as many as 10 forms to fill out for windows. Also, you may get a helpful agent, but you may not. If you go down to the center, take all plans with you. Homeowners are required to replace windows according to plans submitted. When work is completed, you must get an inspector check to check that all work is up to code. Done correctly and according to code, your window project can add to your home’s value. Where do I get new construction window ideas? Write down and share the web pages of windows you like the most. Superior works with you to match it. Do you do window design? Ready to review some of some new construction window options available today? Click this button and fill out our simple form. We’ll help you take the next steps in your re-design! Don’t forget to see our 260 reviews on Angie’s List! Our 16, 4- and 5-star Yelp reviews will give you an idea of our superior work and beautiful projects. We will visually assess your new window needs and provide you with a fair estimate. We look forward to serving you!